A Basic Certificate of Completion is required in addition to a Management Certificate of Completion for all Owners, Agents, and Managers actively involved in the day-to-day operations of the business. Basic courses can be for off-sale, on-sale or both. The Basic Title 4 training Certificate of Completion is valid for (3) three years from the completion date recorded on the certificate. Arizona liquor law does not require all employees of licensed establishments to have a Certificate of Completion for Basic Title 4 Training. 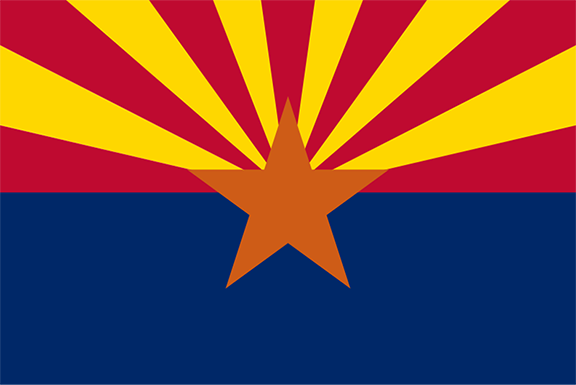 HCI's Classroom and Online programs are approved Title 4 training in Arizona. Liquor License Owners, Agents, and Managers actively involved in the day-to-day operations of the business are required to complete a state approved Management Title 4 Training Course prior to the issuance of a Liquor License or approval of a Management Agreement. A Basic Certificate of Completion is a pre-requisite for enrolling in and completing a Management Course. The Management Title 4 Training Certificate of completion will be valid for (3) three years from the completion date recorded on the certificate. HCI's Classroom and Online programs offer approved Title 4 Management training in Arizona. Age to consume "Legal drinking age" means 21 years of age or older. Age to Sell 18 for off-sale establishments that primarily serves spirituous liquor. 16 for an off-sale establishment that primarily sells items other than spirituous liquor. Age to Serve 18. An employee under 18 years of age may be employed if their primary duties are to clean up the tables on the premises for reuse, remove dirty dishes, keeps a ready supply of needed items and helps clean up the premises. Server training is voluntary in the state of Arizona. Establishments can choose to go through Title IV "Basic" server training which is recognized through the DLLC. Managers are required to go through Title IV "Management" training. See below. Arizona liquor law does not require that all employees of a licensed establishment have a “Certificate of Completion” for BASIC Title 4 training. Some licensed locations may require this of their employees as a term/condition of employment, however. The BASIC Title 4 training Certificate of Completion will remain in effect for three (3) years from the completion date recorded on the certificate. Title 4 training providers are required to keep record of all class participant’s Certificate of Completion on file for a minimum of two (2) years. All liquor license owners, agents, partners, stockholders, officers and managers actively involved in the day-to-day operations of the business must attend a state-approved MANAGEMENT Title 4 training course or provide proof of attendance of a course within the past five years. The MANAGEMENT Title 4 training “Certificate of Completion” will remain in effect for five (5) years from the completion date recorded on the certificate. Title 4 training providers are required to keep record of all class participant’s Certificate of Completion on file for a minimum of two (2) years. An unexpired driver license issued the State of Arizona. A VERTICAL, unexpired ARIZONA driver license is NOT an acceptable type of identification under this paragraph thirty days after the owner of the license turns 21 years of age. An unexpired drivers license (horizontal or vertical) issued by any state other than Arizona, the District of Columbia, or any territory of the United States or Canada if the license includes a picture of the licensee and the person's date of birth. An unexpired non-operating identification card. A form of identification (horizontal or vertical) issued by any state other than Arizona, the District of Columbia, or any territory of the United States or Canada if the license includes a picture of the licensee and the person's date of birth. An unexpired armed forces identification card that includes the person's picture and date of birth. A valid unexpired passport or a valid unexpired resident alien card that contains a photograph of the person and the person's date of birth.